If you're like me, then you love to shop. In fact, you might even call yourself a shopaholic. Thankfully, Indy has some amazing local boutiques, so I don't have to go far to get my fix for some good clothes shopping. 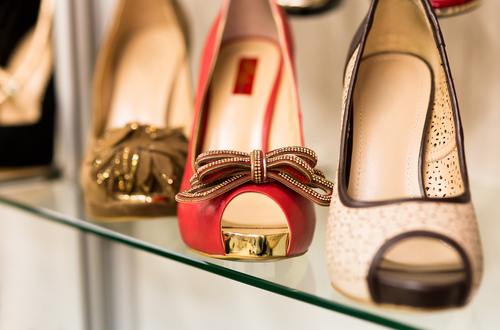 From shoes, jeans, hats, tops, and bags, you can find it all! Here are a few of our favorite local clothing boutiques for all of you fashioniastas out there. Shop contemporary handmade such as locally made t-shirts for men, women and children and wood jewelry by Allison Ford of Studio AMF. Right in the heart of Mass Avenue, Homespun is sells the work of more than 200 artists. In addition to a bricks-and-mortar space, Girly Chic boasts a boutique on wheels. Specializing in clothing, accessories and gifts for women and girls, the shop and truck carry feminine looks from the flowy to the fitted. The shop also has a little girls section. Boomerang BTQ carries an eclectic mix of new and vintage home goods, clothing and accessories. Shop owner Felicia Kiesel also sells her own line of screen printed t-shirts in the store. With shoppes in Geist, Fishers, Carmel, the Fashion Mall, and their newest in Zionsville, Delaney's is a one-stop shop for that special gift. They boast an eclectic mix of home decor, jewelry, clothes, candles, holiday decorations, and more. It's a great place to browse! Catering to the serious fashionista, 8 Fifteen features popular lines such as Rag & Bone, VINCE and A.L.C. and is the go-to place for contemporary designer duds, shoes, jewelry and accessories not commonly found in Indianapolis. Cloth carries on the casual-chic looks from lines such as Velvet, Free People and NSF. Be sure to explore the quirky home wares and accessories from stylish hats to lightweight scarves and jewelry. What are some of your favorite local boutiques? Comment below - we'd love to know!